It’s Corn on the Cob Day! 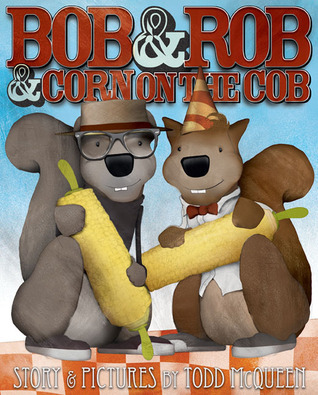 Bob and Rob are two corn-on-the-cob loving squirrels. And so are their friends Duck, Dog, Chicken, and Pig. But Ella Mae Dobbs the rabbit does not! As a matter of fact, she likes tofu… yuck! So, Bob and Rob come up with a plan. They agree to try tofu if Ella Mae Dobbs tries corn on the cob. Bob and Rob still do not like tofu, but Ella Mae Dobbs finds that popped corn on the cob is ….interesting. And they all agree that there’s nothing more fun than popped corn on the cob. Unless you like tofu (yuck), you just might want to try some corn on the cob today!